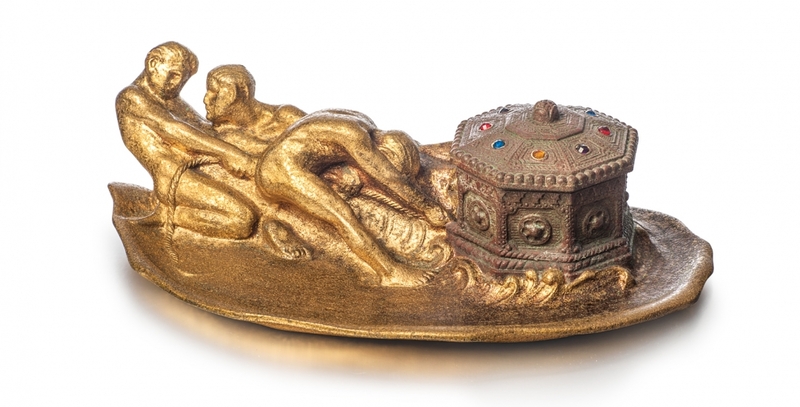 A sculptural Tiffany Studios inkstand. Patinated and gilt bronze, glass cabachons, glass liner. An example of the Tiffany Studios "Fancy Goods" line of luxury metalware. 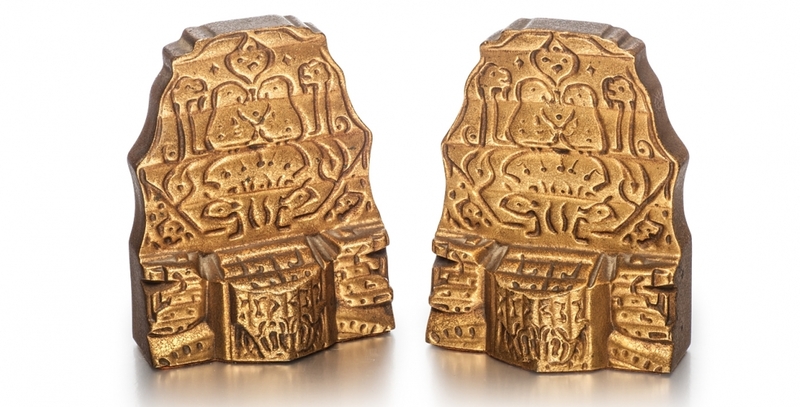 Gilt bronze, the Aztec inspired design is emphasized by the sculpural surface. 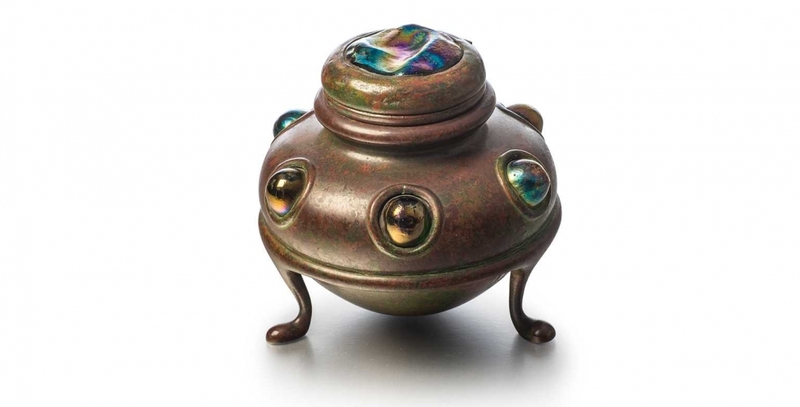 A Tiffany Studios patinated bronze inkstand with a turtleback glass lid, six iridescent glass "jewels" and a glass liner. 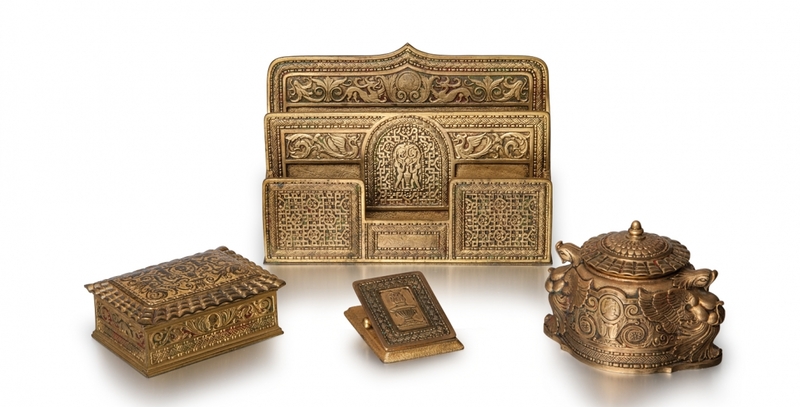 Tiffany Studios gilt bronze set comprised of a paper rack, inkstand, paper clip and utility box.